If you were raised in a place anywhere near the South, you’re probably used to being surrounded by some type of folk or country music (even if it’s unwillingly). However, within the decade, national radio is starting to hear a greater variety of music and a brand new genre. That genre, which falls somewhere between alternative country, bluegrass, and folk/Americana, has given us a number of gems- The Avett Brothers, The Devil Makes Three, and Old Crow Medicine Show. In a day and age full of drinking anthems, the popularity of “Wagon Wheel” ranks somewhere among “Sweet Caroline” and “Free Bird”. 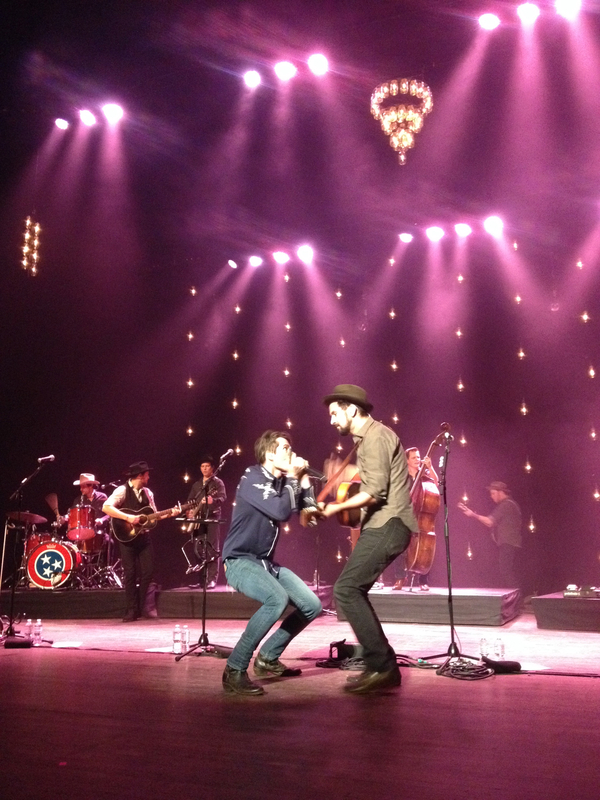 The song, co-written by Bob Dylan, has launched Old Crow Medicine Show into stardom. Being within this potluck genre means “Wagon Wheel” is a top pick for a variety of radio stations and listeners alike. 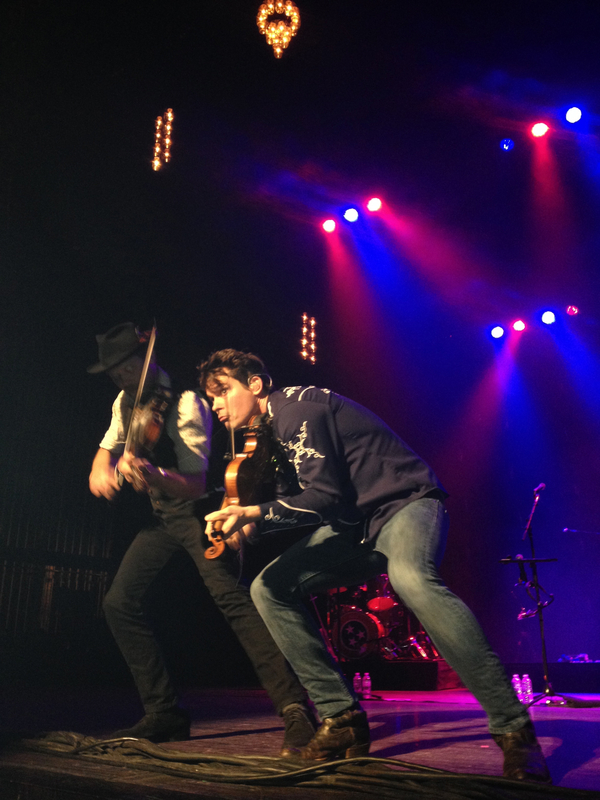 Although I wasn’t sure what to expect when seeing Old Crow Medicine Show at The Classic Center on November 20, I have to say that I was pleasantly surprised. Upon arriving, I noticed the crowd was very mixed, ranging from young college students to senior citizens. The huge theatre with possible seating of 2,600 filled the complete lower level and a majority of the lower balcony, after the doors opened at 7pm. The night promptly started at 8, with Dom Flemons, previous member of the popular Carolina Chocolate Drops. Flemons, complete with a tilted hat and suspenders, introduced the audience to an instrument called “the bones”. Similar to playing the spoons, except with animal bones (hence the name), this was only one contribution to Flemon’s unique old-time talent. His distinct voice, skilled banjo pickin’, and alive stage presence was an interesting pre-cursor that got everyone anxious to see the main act. 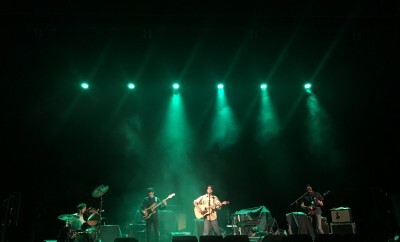 After about a half hour intermission, the lights among the crowds again dimmed and revealed the headliner, which consisted of seven men, each posted at a different instrument and adorning a different pair of cowboy boots. Throughout the performance, the members of Old Crow switched between a multitude of instruments; including guitars, vocals, dobro, fiddle, upright bass, drums, banjo and even an organ. But one thing was constant: the energy and vivacity. Fitting together and reaching a point of perfect sync can be a struggle for all bands, especially big ones, but Old Crow had no problem with this. Nor did they have a problem connecting with the audience. 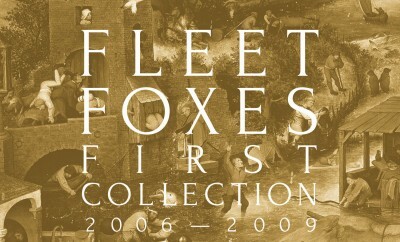 From the very beginning, the two lead singers, Ketch Secor and Christopher “Critter” Fuqua, were very verbal and weren’t short of Georgian references. Each audience member could relate to something they said, whether it was talks of Commerce, Gainesville, or Madison County, or distinct Georgian landmarks like the Braves and I-85. Was it rehearsed? I’m not sure and it didn’t matter. The audience connected to what they were saying, right down to their Southern drawwww-ls. But those weren’t the only stories they told. The band members also explained how they picked up ultra talented pedal steel player Gill Landry, busking on the streets of New Orleans. And apparently, after Bob Dylan heard Darius Rucker’s cover of “Wagon Wheel” on the radio, he sent Old Crow another song, “Sweet Amarillo”, the third track on their latest album Remedy. The story they didn’t tell? Cory Younts, who performed a trifecta of drumming, organ playing and whistling, has also played mandolin with fellow Nashville star Jack White. Needless to say, by the end of the concert, the immense talent in the room was obvious- of each musician and of the group as a whole. Although the pit had been standing since the beginning, the rest of the room stood up around “Wagon Wheel” and didn’t take back to their seats. 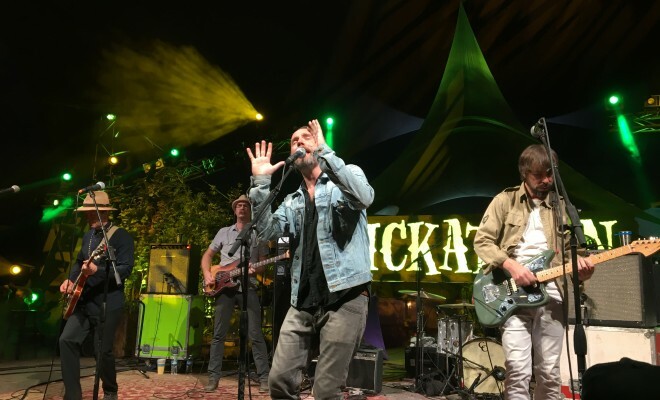 Old Crow invited Flemons to re-join the stage and from that moment until the very last, the theatrical performance became more than just that: it became a good time. The only thing worse than a boring audience is a boring performer, and this show was the complete opposite. If I walked in with a tinge of doubt, then I left it inside that building. 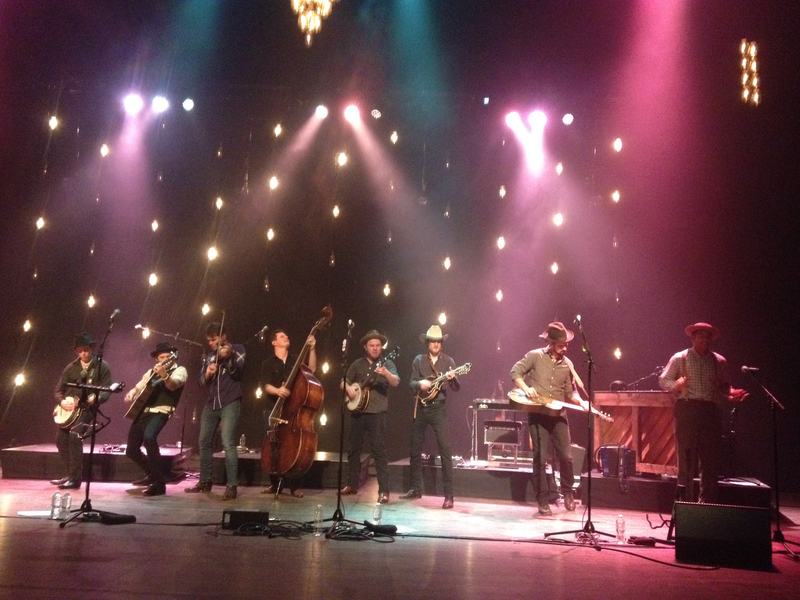 Old Crow Medicine Show is certainly a show, and a show worth seeing for anyone that enjoys genuine talent-driven artists and one rowdy, hell of a time.